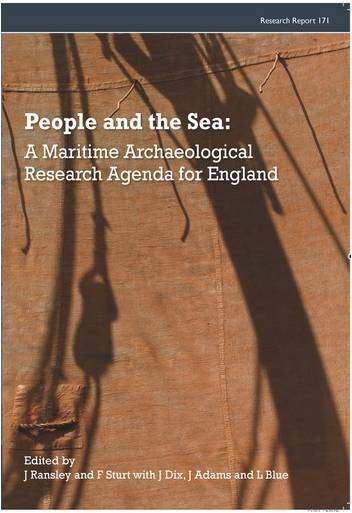 People and the Sea summarises our current state of knowledge with regard to the maritime archaeology of England and sets out priorities for future research. Maritime archaeology is one of those disciplines that scarcely existed forty years ago and was considered far too specialist for most archaeologists for many decades but is now central to our thinking, thanks to the slowly dawning realisation that the sea is not the point at which archaeology stops, but rather a rich archaeological resource in its own right and an element that has had an enormous catalytic influence on our development as an island nation. More than fifty academics and specialists have contributed to this volume, which adopts a broadly chronological approach to the subject, looking at nine periods, from the Palaeolithic to the modern, asking what the key research themes have been for each period, and assessing what the results have told us so far, then setting out areas for future research. Some themes cross period boundaries: locating ports, landing places and harbours, for example, land reclamation, salt production and ‘maritime identities’, looking for the evidence for the ways in which the culture of coastal communities, seafaring communities and shipboard communities can be identified. Once again, this book has enough ideas to spark hundreds, if not thousands, of PhD theses, but it can also be read by anyone who wants to know where we are in our understanding of the sea and its role in shaping English culture over the last 12,000 years.